MaiScoop adalah template blogger yang sepenuhnya responsive. 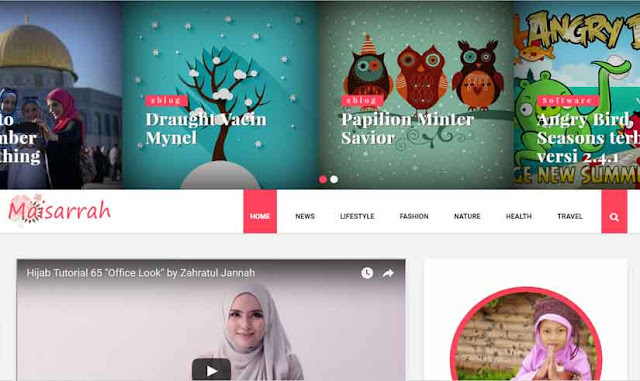 Template di desain pada kerangka bootstrap. Template ini dibuat dalam 3 Tema yang cocok untuk wanita seperti, Fashion Blog, Food Blog dan Blog Travel. Blogger, Pink, Fashion, Girly, Personal Pages, Email Subscription Widget Ready, Slideshow, Social Bookmark Ready, Drop Down Menu, Page Navigation Menu, 3 Columns Footer, 2 Columns, White, Seo Ready, Magazine, 1 Right Sidebar, Photography, Free Premium, Right Sidebar, 1 Sidebar, Ads Ready, Post Thumbnails, Responsive.